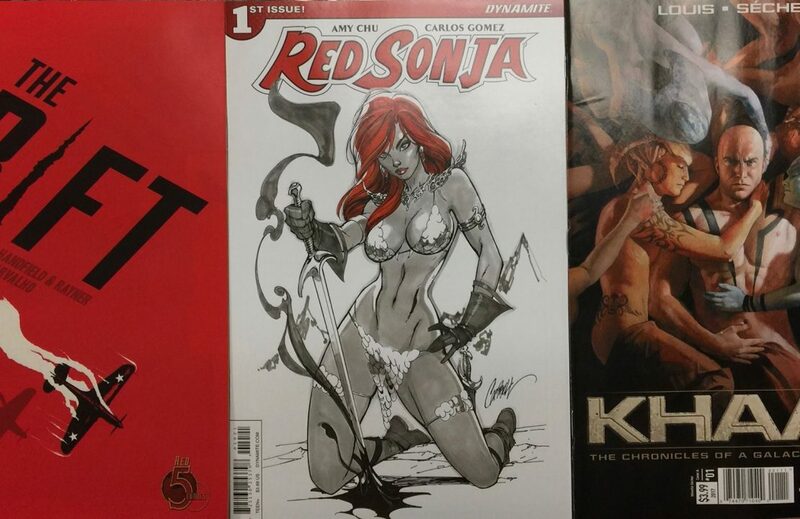 Recent Releases Cool Comic Cavalcade of the week!! 1) DOCTOR CROWE #1 – Kickstarter sensation, Doctor Crowe is a steampunkish scientist who uses technology to fight the crimes. During the four short stories in this issue we are given only small bits of information about who Dr Crowe is. 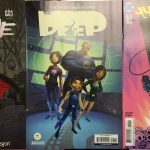 2) THE DEEP #1 – Just your typical underwater family living in a submarine having adventures and doing science! A fun read for the whole family! 3) JUSTICE LEAGUE / POWER RANGERS #1 – Another fun, family read when two different worlds collide, heroes are initially mistaken as villains … but after this misunderstanding is resolved they come together at the last minute to join forces against evil (Have I read this before?). Prepare to be entertained! 4) RIFT #1 – I am a time travel tale sucker, and thus far Rift does not disappoint. A road-tripping mother and son, cross paths with a WWII pilot who has somehow been flung in to our modern timeline. 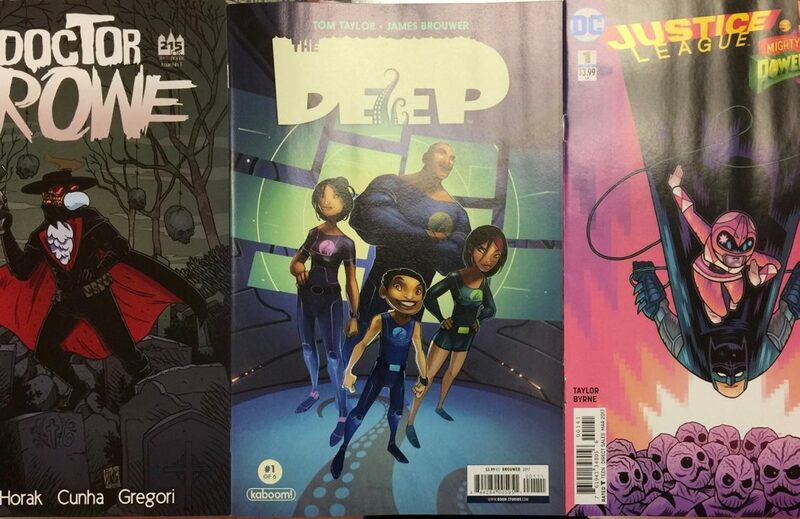 Good characters, good art, good story and a good sense of urgency. 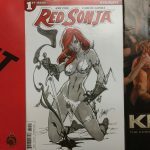 5) RED SONJA #1 – Red Sonja seems out of place in her chain mail bikini and sword set against a modern metropolitan back drop. Hack and slash hijinks are sure to follow! 6) KHAAL #1 – The best thing to come out of France since Jerry Lee Lewis! The inhabitants of the E.T.H.E.R. prison spaceship have all been left adrift … for generations! Current inhabitants, who have ever only known this spaceship to be their home, are engaged in a power struggle to be the dominant species aboard the E.T.H.E.R.